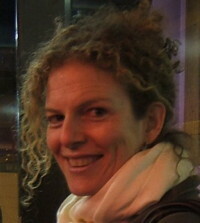 Deirdre Fishel has been writing and directing documentaries and dramas for close to 20 years. Her life's goal is to create complex, realistic portraits that challenge mainstream stereotypes and work to improve lives. Deirdre started her career at WNYC-TV then went on to write and direct SEPARATE SKIN, an award-winning drama distributed by Women Make Movies. Her dramatic feature, RISK, premiered in competition at Sundance, had a theatrical, as well as a wide video and international release. Her critically acclaimed documentary STILL DOING IT:The Intimate Lives of Women Over 65 (stilldoingit.com) premiered at SXSW, has been broadcast in fifteen countries worldwide and was turned into a book co-written with executive producer Diana Holtzberg (Avery, 2008). Jim Klein has been an independent filmmaker since 1969 and active in the American independent film community ever since. He is one of the founders of New Day Films, a cooperative of independent filmmakers that is one of the leading educational distributors in the United States and approaching its 40th anniversary. As a producer/director, he has two Academy Award nominations for feature documentary, SEEING RED and UNION MAIDS, along with national television broadcasts and numerous international screenings of five other documentary works. He has edited four feature fiction films, including two by Ohio filmmaker Ed Radtke, THE DREAM CATCHER and THE SPEED OF LIFE. 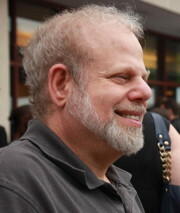 Jim has also edited numerous documentaries, including SCOUT’S HONOR, which won the Audience and Freedom of Expression awards at the Sundance Film Festival, IF I CAN’T DO IT, which won the Columbia Dupont award for distinguished journalism, as well as a national television Emmy, A LION IN THE HOUSE, which won the 2008 Prime Time Emmy for exceptional merit in non-fiction filmmaking, TAKING ROOT: The Vision of Wangari Maathai, which won major awards at the Full Frame, Hot Docs and the Amnesty International Durban Film Festivals, and was nationally broadcast this year on the PBS series, INDEPENDENT LENS. Most recently, he was a major editor on THE LAST TRUCK, about the closing of GM plant. It was broadcast on HBO and won an Academy Award nomination for short documentary in 2010. 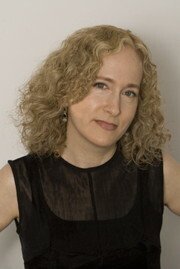 Diana Holtzberg is Vice President of Films Transit International, a leading worldwide documentary film sales company with a catalogue of highly acclaimed films, many of which have won Grand Jury and Audience Awards at preeminent film festivals throughout the world as well as Emmys, Peabodys, duPonts, BAFTA’s, and Oscar nominations. Diana also executive produces and acts as creative consultant on a select number of projects each year. Recent films include:THE ART OF FAILURE which won her an Emmy, THE DICTATOR HUNTER, END OF THE CENTURY: THE STORY OF THE RAMONES, IMAGINARY WITNESS: Hollywood and the Holocaust, HELD HOSTAGE IN COLOMBIA, PUCKER UP: The Fine Art of Whistling, LOVING & CHEATING and STILL DOING IT: The Intimate Lives Of Women Over 65. Diana conducts film workshops throughout the world and has sat on panels at the Sundance Film Festival, SXSW, IDFA, Sunnyside of the Doc, NYON, Guadalajara, Full Frame, Hot Docs, Galway Film Festival, and Encounters in South Africa. She is on the Documentary Committee at the Paley Center for Media. She began her career at SPIN Magazine and then worked at Inc. and Details before moving into film. During this time DIana also produced TV specials for MTV and Fox Sports Network. She holds a B.A. from George Washington University and a Certificate in Film from New York University.